Looking for best places to invest in real estate Ontario 2018? Investing in real estate can be a great way to build wealth and a passive income. While we believe in investing for the long-term, you want to make sure you’re making the good choice when you buy. There are important factors to consider including population growth, infrastructure improvements, new/ planned projects or business development, etc. Some cities are better for student rentals, others gear towards condos, and others favour family homes. Undoubtedly, Barrie will continue to be an attractive place to call home for many. Pickering is just east of Toronto and marks the start of the Durham Region. With Pickering’s proximity to Toronto, it’s a popular home for professionals. The city is also home to the Pickering Nuclear Generating Station, which will continue to provide high-paying jobs in the city till 2024. You can expect a lot more people flocking to this city in the next year or so as one of Ontario’s biggest casinos, Durham Live, opens in 2019. Pictured above, Durham Live will house not only one of the province’s largest casinos, but also an indoor waterpark, and convention centre. The south end of the city, south of the 401 has been a good place to invest. It’s close to the power station, and has higher rents. If you’re looking to invest near Toronto, Pickering may be a good place to consider. London, Ontario has a vibrant, active downtown, popular with renters. The city is home to Western University, Fanshawe College, and several hospitals. It’s also Canada’s 11th largest metropolitan area. London’s downtown is not only is this neighbourhood popular with Western University students but with young professionals as well. The downtown is very walkable and is excellent for live entertainment, good food, and sports. The north end of the city is another popular area right now with students and young families. The area is relatively new with newer builds, which are appealing to the renters in the city. Home to high-paid tech workers, and students attending one of the areas three post-secondary schools, Waterloo can be a great place to invest in real estate in 2018. Multi-unit homes are a good investment in Uptown Waterloo, while single-family homes are a good option closer to Kitchener. Kitchener-Waterloo’s new ION LRT system will make these two cities even more appealing, and as the LRT expands into Kitchener, it will likely draw many to the area. Cambridge is perfectly situated for commuters. Highway 401 runs right through the city, Highway 8 provides easy access to Kitchener-Waterloo, and Highway 24 takes you to Guelph. This means Cambridge is a great choice for a wide group of renters. With limited growth potential within the Greenbelt, Cambridge conveniently sits outside the protected land belt, but still has easy access back into the GTA. This charming city continues to be in demand, and we don’t see that slowing down. 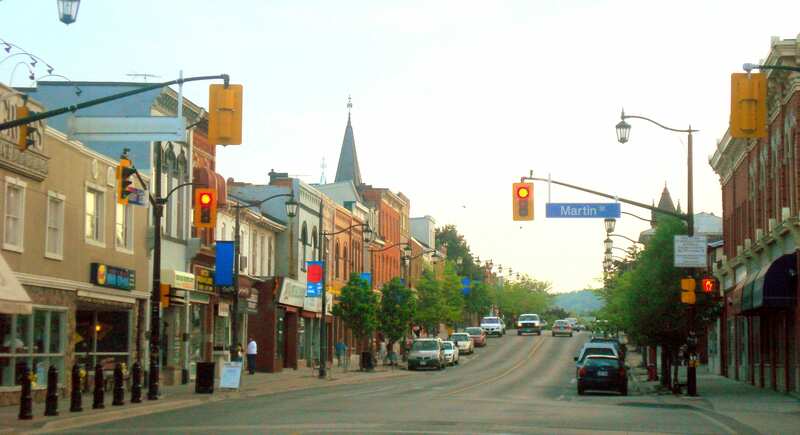 Hamilton has been a popular place to invest in real estate for years. Its proximity to Toronto has a lot of people who can’t afford the big city moving West to the “Hammer.” Toronto has priced a lot of people out of the housing market, but Hamilton is still relatively affordable. For years, the Hamilton Mountain and the West End of the city have been popular spots for home investors. Investors have started moving East, but there is still a lot of potential in Hamilton Centre and East Hamilton. Hamilton has seen a resurgence in recent years, and the areas that have seen the biggest growth, have also seen huge price increases. While there are some still less desirable pockets in the downtown and some not-so-great tenants, there are also many young people and families who are proud to call Hamilton home and are invested in the city. The East end of the city has seen a lot of growth, and even areas in the centre, which were undesirable a few years ago, have seen the buds of resurgence and redevelopment. Turnkey single-family homes can be found in the low to mid $400,000s (homes can be found in the low to mid $300,000s, but they will likely need work or are in less desirable neighbourhoods). Hamilton is also getting a new LRT system, which will undoubtedly attract people to the city. 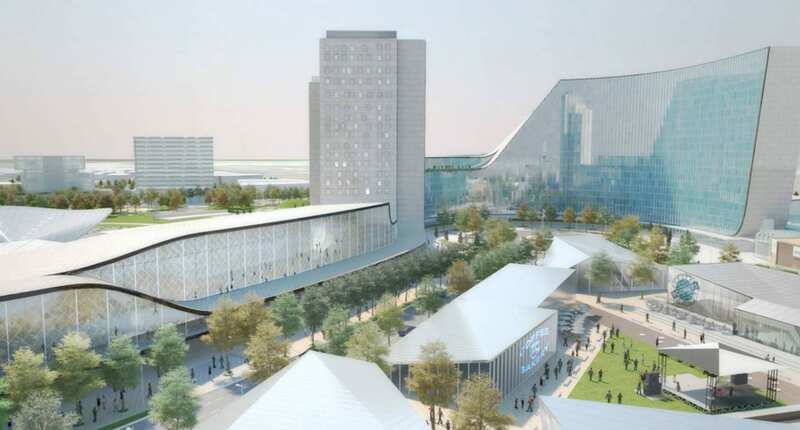 Plus GO transit is expanding into the East End, with the new Confederation station scheduled to be up and running in 2019 (pictured above). St. Catharines has seen a lot of money spent on infrastructure, which is great news for people looking to buy in the city. It didn’t take long for the increased demand in Hamilton to move down the highway and boost the interest in St. Catharines. Investors have found amazing value in the heart of Niagara. Easy highway access, close to the border, surrounded by wine-country, and with Lake Ontario on the north end of the city, St. Catharines has a lot of appeal. A new GO Train is scheduled to start running in St. Catharines in 2023, making this a good 5+ year investment. The North End has a lot of great homes, with high rental demand. The south end of the city is home to many college and university students, so the North End (between Lake Ontario and the QEW) is a great place to target families. Downtown Burlington is attracting a lot of young people looking for convenient access to trains and highways into Toronto. High rises are starting to pop up near the lake, with stunning views, and close to amenities and transit. New condos can be solid investments, with a large rental base. Instead of a one or two-bedroom condo, consider a one-plus-den. They tend to be in the middle in terms of price, but rent is similar to that of a two bedroom. Milton has exploded in recent years. Close to 401, 407 and with GO Train service, Milton is a popular choice for city workers willing to make the commute for a bigger home. Milton also has a 10-year plan to bring post-secondary education to its doorstep. The Milton Education Village will attract 2,000+ full-time students to the area. The growth in Milton likely won’t slow anytime soon, making this one of the best places to invest in real estate in Ontario, 2018. No matter where you choose to invest, it is important to think long-term. Real estate can be a great tool to build an asset base that will protect your wealth for years, even generations, to come. 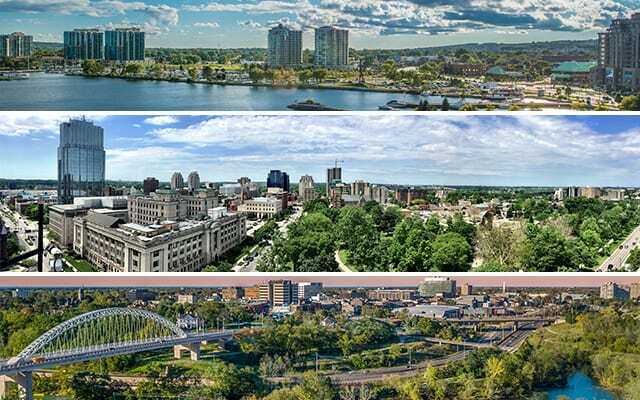 Also check out our updated list for Best Places to Invest In Real Estate In Ontario 2019!